Today something wild and crazy happened and we hope that these pictures will tell the story. 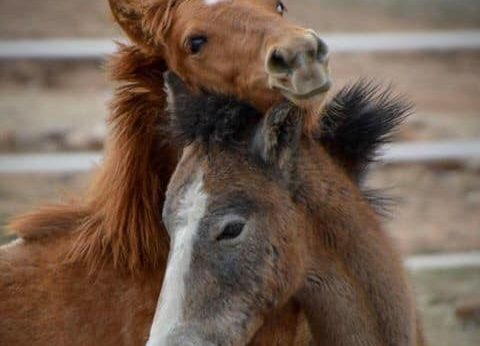 This foal in these pictures, she is only a week and 2 days old, she doesn’t belong to any of these bands of horses in the pictures. She had lost her band, and these are bachelors (young studs) running after her and several different bands who were trying to get her as well. None of the horses knew who she belonged to and that made them all very frantic. At one point one of the bands, (not her own band) came and protected her from the rowdy bachelors and kept her in their middle. 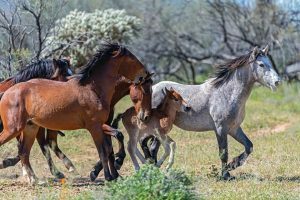 But the foal’s own band was not around, and all of the running and fighting over her put her in danger of breaking a leg. 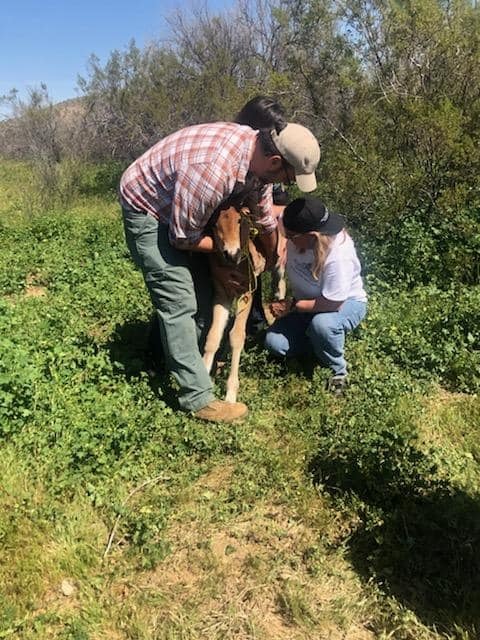 With our awesome field team members, we took quick action and surrounded the foal, moved the other horses away from her and were then able to catch her. She was now at least removed from the dangerous situation, so that we could find her band and her mother, without whom she would die. Liz U, a supporter who was paying close attention, notified us where the band was located in the distance. Our heros of the day Ryan and Cindy, then carried her all the way close to the band where we then released her. 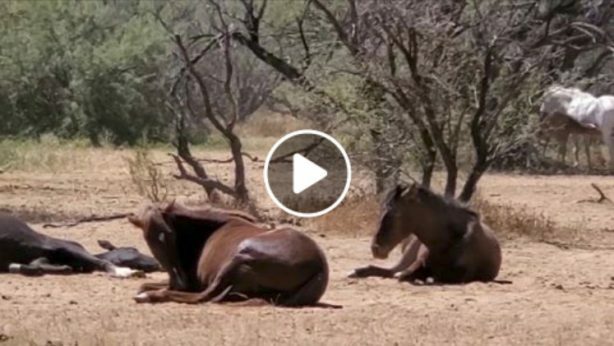 However when the baby called out, it was 3 stallions that came running at full speed trying to cut them off from eachother again. Ryan, Gina, Rick, Bren, Kim, Cindy and Simone then worked together to protect the rightful mother and father and chased the non related stallions away. That may have looked like a lot of running and chasing of horses, but finally the rightful mother and father got away with the filly and joined back up with their band!! The public who was watching this crazy spectacle, cheered! After this, all returned to calm in the Tonto National Forest! Thank you Liz, Ryan, Bren, Rick, Gina, Kim, Cindy and Simone. 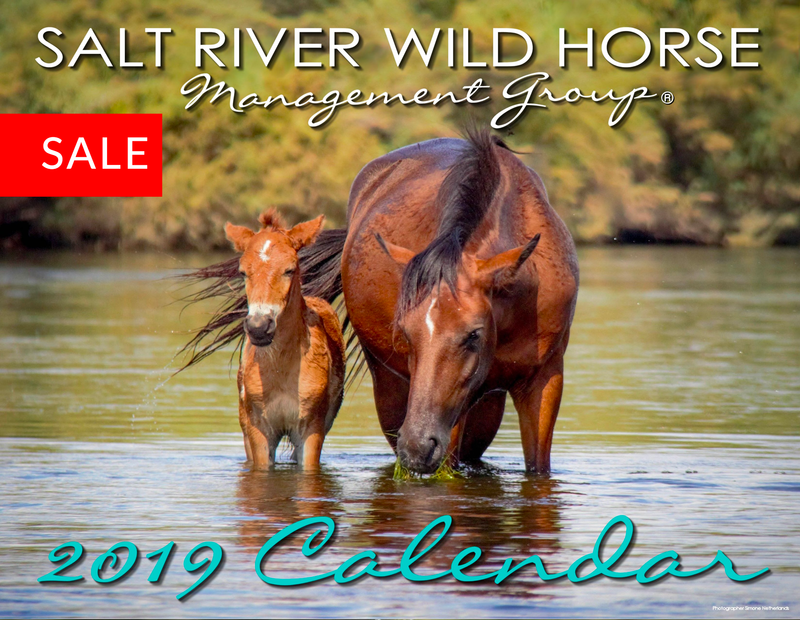 Thank you to the public who helped and thank you to the AZDA who always supports us no matter how wild it gets outthere!